Natural crystal deodorants are made of potassium alum which is a naturally occuring salt that has solidified to form solid rocks. It appears as a white translucent crystaline stone with small veins. It is extracted from the earth in large blocks and shaped into smaller manageable stones to be used on the body. Potassium alum is soluble in water. When the stone is wet or applied to wet skin, it leaves a thin layer of crystal deposits on the skin. The crystal does not prevent the body to sweat and does not impair or constrict the sweat glands. Potassium alum is an anti-mocrobial and anti-septic that will inhibits the growth of the bacteria living on the surface of the skin and therefore the unpleasant odour that comes with it. 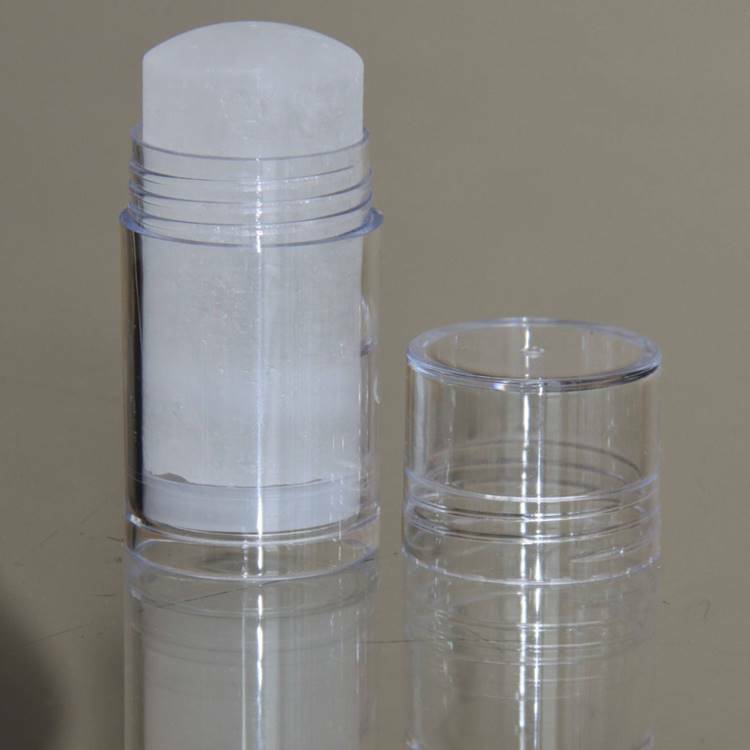 The crystal effectively prevents odour to develop and does not just mask it. The crystal is odourless, non-sticky, non-staining and hypoallergenic. It also has vaso-constritive / astringent properties and can be used after shaving. It will effectiviely reduce bleeding in minor cuts and abrasions and soothe irritated skin after the removal of body hair.